Sheikh Hamdan bin Mohammed bin Rashid Al Maktoum, Crown Prince of Dubai and Chairman of the Executive Council, has just taken care of the medical expenses of an Emirati citizen who was diagnosed with cancer. 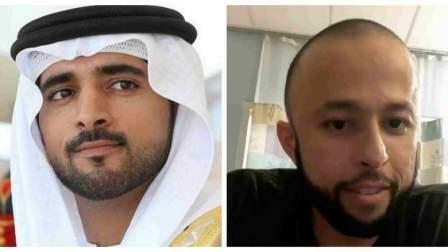 The young man, Khalifa Mohamed Rashid Dafus, had posted a video on Instagram, stating that he needed experimental treatment but it would require Dh3 million. "It's impossible to get approval for this treatment and I can't save up for it. Who can donate?" The chemotherapy had not worked for him. A few hours later, the Crown Prince of Dubai surprised him by saying he would take care of the expenses for him. Sheikh Hamdan also commented on the same post "You are brave, and we are with you". The youth had been receiving treatment in the US and was told that he only had 3 years to live by doctors. He had recently undergone a lung surgery before posting that his chemo hadn't worked. Dafus had been documenting his journey through cancer on Instagram and has over 15,000 followers to date.